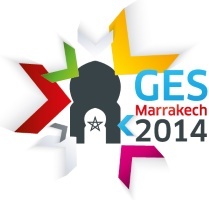 At least 3,000 entrepreneurs, high-ranking government officials, heads of state and young entrepreneurs from all over the world will get together in Marrakech this November 19-21 for the 5th Global Entrepreneurship Summit, GES-2014, a major global platform, held for the first time in an African country, “to empower entrepreneurs with the skills and resources necessary to compete and thrive in the 21st century”. Held under the high patronage of HM King Mohammed VI, under the theme of “harnessing the power of technology for innovation and entrepreneurship”, the Marrakech conference “reflects the role that the Kingdom of Morocco plays in the overall economic development of the African continent and its leadership in supporting entrepreneurship and integration of youth and women in the economy. Launched in 2009 by US president Barack Obama, the GES seeks to lay bridges between entrepreneurs, banks, fund-donors and investors from the USA and Muslim communities worldwide. After the first summit held in Washington DC in 2010, followed by those of Dubai, Istanbul, and Kuala Lumpur, Marrakech was selected to host the 5th GES, in accordance with an agreement between HM the King and President Obama in November 2013 in the USA. For Moroccan delegate-minister of foreign affairs and cooperation Mbarka Bouaida, the holding of this summit illustrates “the excellence of Morocco-US bonds and is part of the strategic dialog between the two countries. The choice of Morocco as a venue for this summit is not fortuitous”, she stressed. “As an emerging country, Morocco boasts an exceptional model to share and promote, in terms of political stability and pertinence of socio-economic and human choices”, she went on, noting that the Kingdom enjoys political and social stability and is conducting deep economic and political reforms to establish the rule of law and improve its economic competitiveness. As a result of sector-focused strategies, Morocco has emerged as a reference in new sectors such as car and aeronautical industry, renewable energies, electric and pharmaceutical industries and offshoring, explained the official who also pointed out that strategic development plans also exist for conventional sectors such as tourism and agriculture as well as a vision for the 20 coming years. Morocco also stands out as a major stakeholder in the new African momentum. In addition to centuries-old ties with several countries of the continent, Morocco is adopting a clear and constant vision of South-South partnership, as a factor of progress, growth and development for the local populations. The GES 2014 is a global platform to trade ideas and experiences, an invitation to open up to the world, find out about new opportunities and conclude sound alliances between economic operators of the world.